An all natural ointment handcrafted from 5 of our fabulous oils – Sandalwood, Tamanu, Petitgrain Tahitian Lime, Nangai and Virgin Coconut – for relief from the pain and irritation of skin problems caused by everyday stresses, psoriasis, chafed and cracked skin, etc. Takes the itch away – instantly. Baby bottoms to grandparents’ wrinkly skin become soft and supple as a newborn skin should be. Apply a small amount to the affected area as often as your skin demands it. DO NOT PUT IN THE EYES. If an adverse reaction occurs, cease use immediately and seek medical attention. As it contains the oil of the tamanu nut, people with nut allergies should be cautious with its use, as should pregnant or lactating women. Love this product! Bought a small jar whilst visiting the Summit and wished I bought 10 large jars! I have been using this as a face cream and its really made a noticable difference, so much so, my friends & family have commented on how good my skin looks! My wrinkles are reduced, my skin tone is great and feels really hydrated. About to order alot more! We truly appreciate your review Diane! May you also try and enjoy our other pure, natural, beneficial health & body products! Btw, we have a surprise in store for you for your next purchase! The products we have used so far have all been really good. 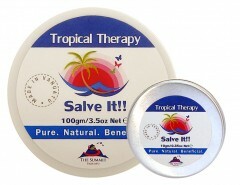 Our favourite is the Salve It cream because it fixes just about every skin problem! We also really like the Coconut and Lime Moisturising Body and Bath Oil, which smells really nice and feels very good on the skin. We like the other products we have used too and we are looking forward to trying the new ones we have ordered (Online Shop). I really appreciate the care you take with your products and your customers! Thank you again for your excellent service and products. Hi George! Is that right? Hopefully, your and our other users feedback will help more online natural health buyers decide to also buy our Salve It. We are glad that it has also helped your skin. We highly appreciate your time and effort giving us your feedback. Thanking you for trusting our product. May you also try our other premium range of health & body products. Surprise! We are sending you a surprise gift to send with on your next purchase! PS: If you head on and like our FB Page, you can also find another surprise there! This stuff is the best! I finally got my hands on some about 8 months ago and have only used half of it since you need such a small amount. The best thing to put on sunburn (after your aloe)and I have found it stops you peeling and helps to sooth the burn. I have told lots of people about it and they are all now looking to try it too. Review…. Salve it….. Bought product whilst on holiday, figured give it a try turns out to be a Great product great for clearing up acne and skin infection that medicines can’t best of all its natural. Have ordered more. I want to share with everyone my secret weapon Salve It! which I use for pretty much everything: as a daily face moisturiser, on any cuts, burns, overworked hands (gardening, washing, cooking… skin on my hands started to peel!). 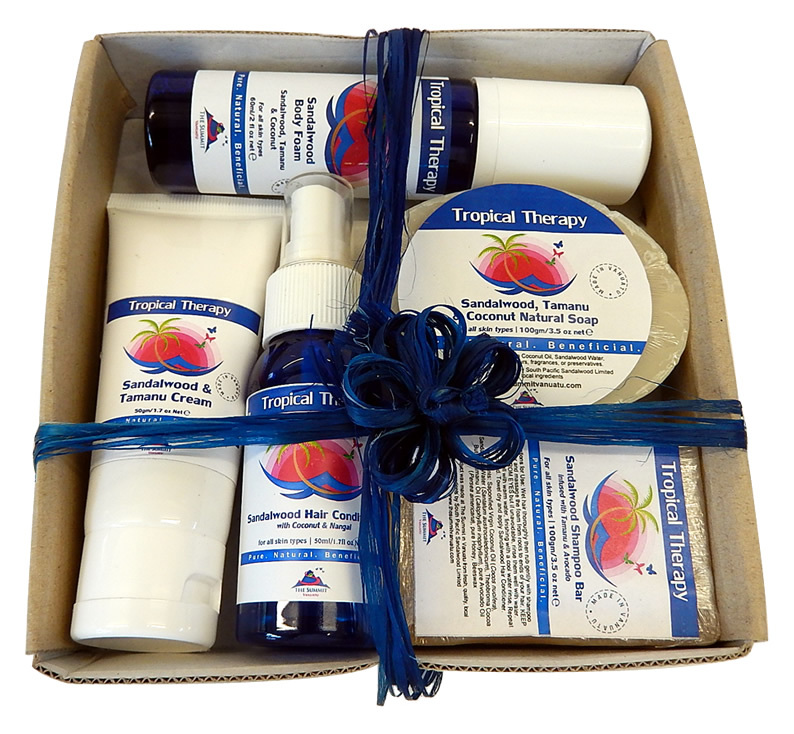 It really is magic, and made from all natural Vanuatu ingredients that smell divine. 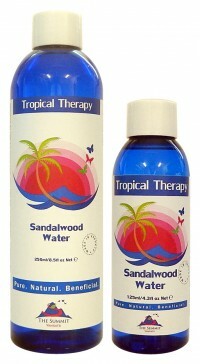 I have been using it for several years now and it beats every other cream, oil or natural remedy I tried in the past. Well done The Summit Vanuatu! This is definitely magic! Soothes and repairs my dry and cracked hands virtually overnight. Our whole family has been using this ointment for over 2 years, specially after a lot of washing up, gardening and on our ski trips. It literally saves our skin. Thank you for creating such a wonderful product, just reordered again online. Subject: Re: FW: Congratulations! The Summit Vanuatu Valentines Day Entrant! Everyone is a Winner! Look forward to your response and my goodies- especially my new salve it. The little one is getting low and having had plastic surgery on hand reconstruction in January for a nasty fracture it’s awesome for scar healing, pain and swelling. My hand therapist is amazed at my recovery progress. I came across your “Salve It ” last week when I burnt 3 fingers on our Grade 1 excursion. Our lovely teacher said try this , it’s a fix it all. Well, within 2 days you wouldn’t have known that I burnt my fingers & we only applied it once. This is a fantastic product !!!! I’ve just placed an order for some & a replacement one for my Daughters Teacher as she was nearly out but still shared it. I will be a returning customer as I’m looking forward to buying and trying the acne products when I place my next order.